Firstly a massive thank you to everyone who has supported me so far. Blogging has been such an amazing experience, I am so grateful for all the love and opportunities that have come from this platform already. Originally I didn’t know what I would be addressing in this post, I just knew I wanted to do a post on 3 years of blogging. I started and practically finished a blog post, this blog post actually, but on my way home I thought of a much better way to celebrate my blog birthday. 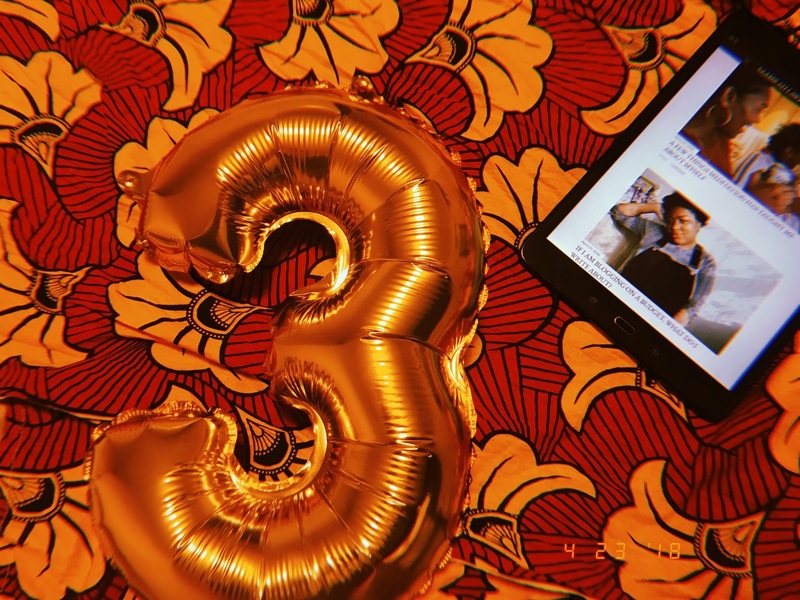 I am going to share with you the main three things I have learnt from my three years of blogging. 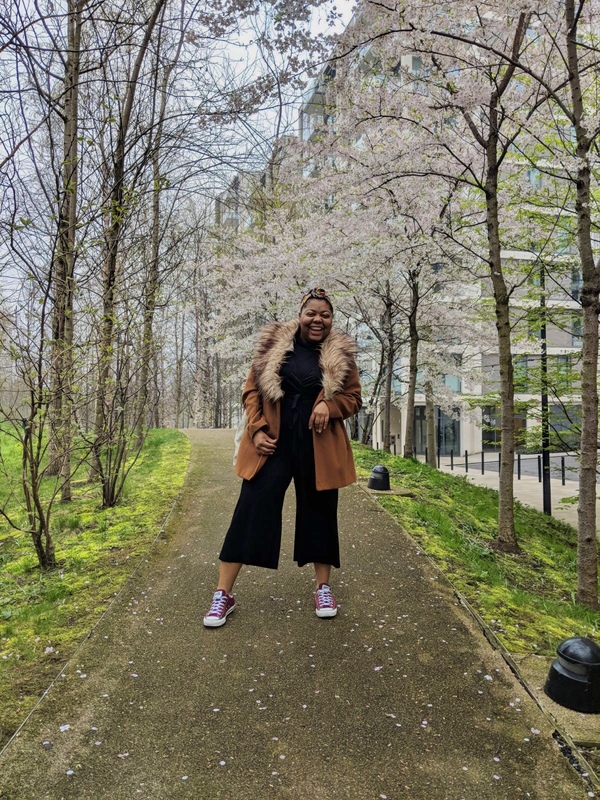 I thought about some of the things blogging has taught me, mainly about myself and I think it’s important I share with you some of the things you should pay attention to when starting or even continuing your blogging journey. Blogging is never really just about writing up a post and publishing it, there is so much that comes before, during and after the post is up and ready to be read by hundreds – speaking those numbers into existence for you. You will hear and see the word ‘consistently‘ so often in the blogging community. Especially If you want your content seen and if you want to make a career out of it, then consistency is super important. However I am not talking about consistency of content, I am highlighting the importance of being consistently you. It is so cliché to say “Be Yourself” but it is a major key in this content creating world. With loads of other people doing what you are doing, it is good to remember that your readers want to know who you are, share that however you feel comfortable. Always write what you want to write about! Not to sound like I am boasting or anything but, the opportunities that have come my way are all down to me being me. Still a strange concept for me to accept. But It just goes to show you that others see you in a way that you don’t even see yourself. Consistently be yourself and do what feels comfortable. Consistency doesn’t have to mean everyday, every week or every two weeks is consistent. Remember to give yourself some time away from blogging, it can be difficult to separating life and your blog. Being self aware can be daunting, I know it is for me at times. Being aware of what I am doing, why I am doing it and every thought that comes in between those moments is exhausting, but it has taught me a few things. Self awareness is acknowledging your strengths and weaknesses, amongst other personal attributes. It makes you look at what you have, my blogging on a budget series was all about using what you have. This is something I have only recently started to apply to the personal side of me. Asking myself what I have to offer, who am I? and what do I believe in most? Know where your strengths lie, be it personal or professional strenghts. Being aware of what you stand for and how you feel about certain topics creates the foundation of your platform. Do you have strong opinions on the lack of representation in the music industry? Use that. Also be aware of the effect blogging has on your well being. It is all good and well telling people not to compare themselves to others, but even if it is just that one person you follow, It happens. Are you aware of the triggers? are there certain images that set you off? Are you aware of how much or how little you are able to digest in one moment? Growing up being extremely comfortable with the idea of just blending into the background, led me to believe my views, opinions and my voice in general was invalid. Not because anybody told me so, it was just because I wasn’t the loudest of the bunch which automatically made me the quiet/invisible one. My blog has given me the space I needed to share my thoughts, to use my voice, and to be unapologetic with it as well. Having this reoccurring thought that my voice is not valid and having people praise my content was a constant battle in my head. How could I put so little value on my voice when others speak so highly of it. I know I am not the best writer, but I do read back on some posts and I actually surprise myself with how well I can articulate myself at times. NEVER underestimate or downplay the value of your voice. A story that has been told a million times could be rewritten and told in a way that challenges views and opinions, starting up a discussion that you never thought your community would have. You really never know who you’re inspiring, encouraging, empowering or saving. Words are powerful, when used with passion and a personal touch magic happens. A few months ago I was interviewed by the lovely Serena, the founder of Detangled Hair and my interview has just gone up on their blog. You can read all about my blogging and healthy hair journey here.